This new collection of articles puts the very latest issues in economic development under the microscope, exploring them from a variety of perspectives. Beginning with an assessment of the current state of play in development, the authors move forward to examine neglected issues such as human development, gender, brain drain, military expenditure and post-colonial theory. While analysing the problems of external debts, technology transfer and new theories of international trade, the relationship between developing and developed economies is fully explored. The book also examines the important topics of financial reform, structural adjustments and the role of the IMF in the new financial architecture. 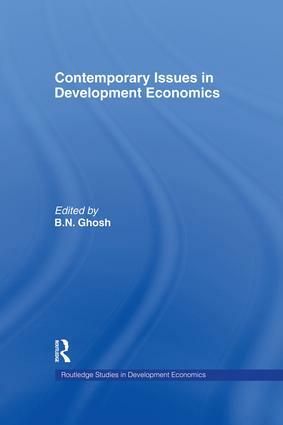 The highly respected contributors subject these critical issues to thorough analysis with suggestions towards resolving some of these problems, making this an indispensable book that researchers and students of development economics cannot afford to miss.